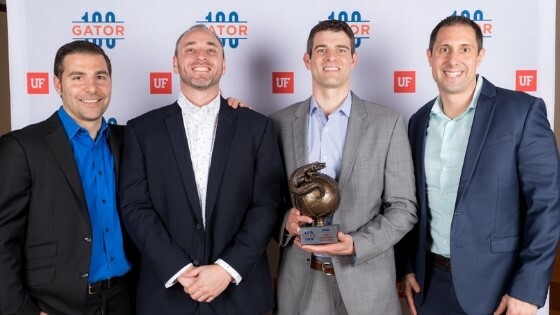 GAINESVILLE, Fla. – JWB Real Estate Companies was named to the University of Florida’s 2019 Gator100 during a ceremony on Feb. 22 at UF’s J. Wayne Reitz Union Grand Ballroom. JWB sells rental properties and provides property management for clients who want to build a real estate portfolio for passive income. The company serves over 800 clients who have purchased over 1,800 properties from JWB over the last 13 years. The company currently manages over 3,000 rental properties and has over $350 million in assets under management. 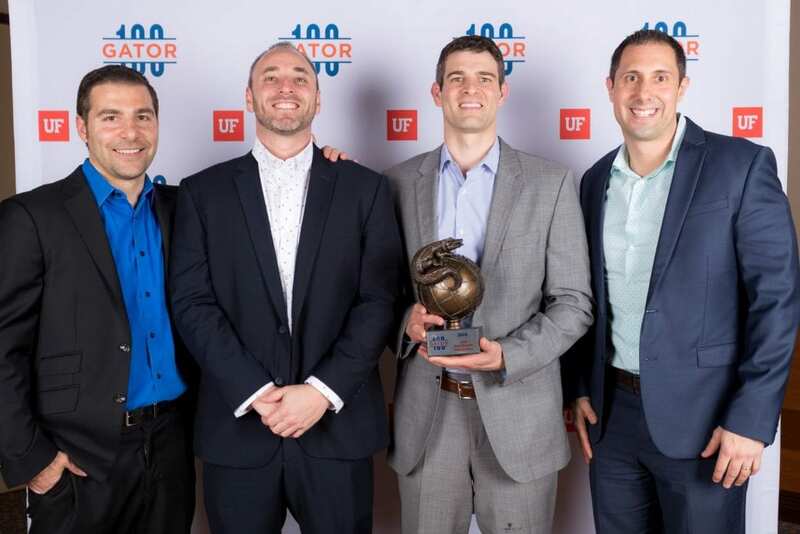 JWB Real Estate Companies ranked #50 fastest growing company in the world led by University of Florida alumni. This is the 3rd year the JWB team has received this award. From left to right, Alex Sifakis, President, Adam Eiseman, Chief Operating Officer, Gregg Cohen, Chief Executive Officer, Adam Rigel, Chief Financial Officer. View the full list of Gator100 honorees at https://gator100.ufl.edu.